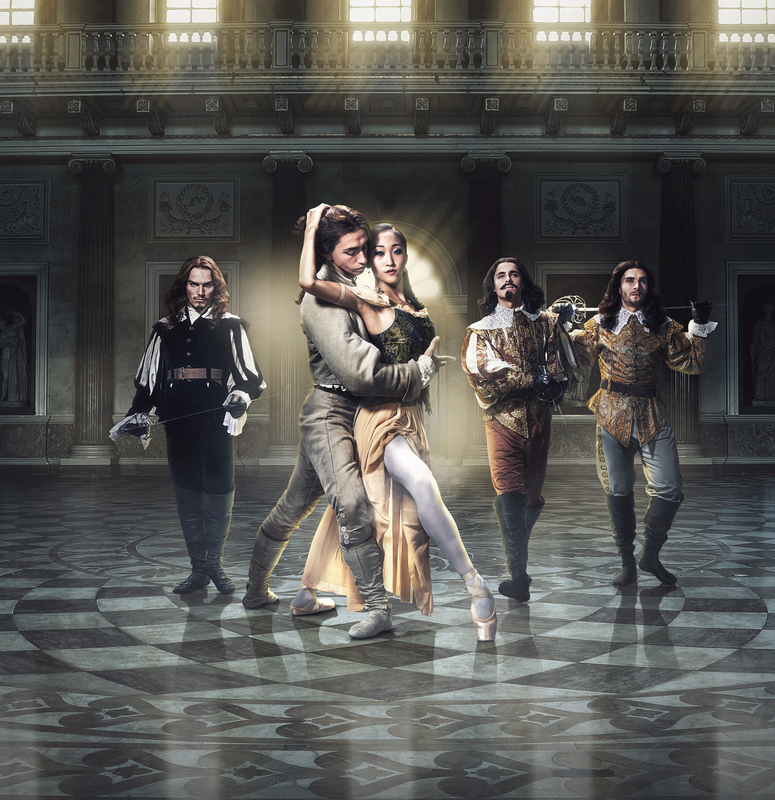 Promo: Northern Ballet returns with The Three Musketeers. Nottingham Theatre Royal – East Midlands Theatre. This autumn Northern Ballet’s spirited adaptation of Alexandre Dumas’ The Three Musketeers returns to the UK stage for the first time in over 10 years. Choreographed by David Nixon OBE, this action-packed ballet returns to Nottingham Theatre Royal from 4 – 6 October 2018 on the first stop of its new national tour. Set in 17th century Paris where honour is everything but no secret is safe, The Three Musketeers sees devoted friends d’Artagnan and musketeers Athos, Porthos and Aramis, race off on a chivalrous quest to save the Queen’s reputation and the life of d’Artagnan’s love. Faced with scheming villains at every turn, the path to victory does not run smooth in this dashing tale of intrigue, treachery and romance. This is a gripping ballet with thrilling swordplay and larger than life characters for the whole family to enjoy. Last performed in the UK in 2007, David Nixon OBE’s The Three Musketeers is set to an enduringly popular score composed by Sir Malcolm Arnold and played live by Northern Ballet Sinfonia. The production features sets designed by Charles Cusick Smith, lighting by Alastair West and costumes by David Nixon OBE. The Three Musketeers was nominated for an Olivier Award in 2008 and won the award for Best Dance at the MEN Theatre Awards. Tickets are priced from £10 and are on sale now. To book visit trch.co.uk or call the Box Office on 0115 989 5555. Northern Ballet is holding an audio-described performance and touch tour for visually-impaired patrons on Saturday 6 October 2018. On the same day, there will also be a ‘Dancing for the Over 55s’ workshop and the chance to watch Northern Ballet’s dancers in their daily class as part of ‘Northern Ballet Revealed’. For more information about additional events at the theatre, visit northernballet.com/musketeers-events.